In keeping with Caesars President and CEO Mark Frissora’s promise to grow the casino conglomerate post-bankruptcy, the company announced plans to build the first zipline on the Las Vegas Strip. 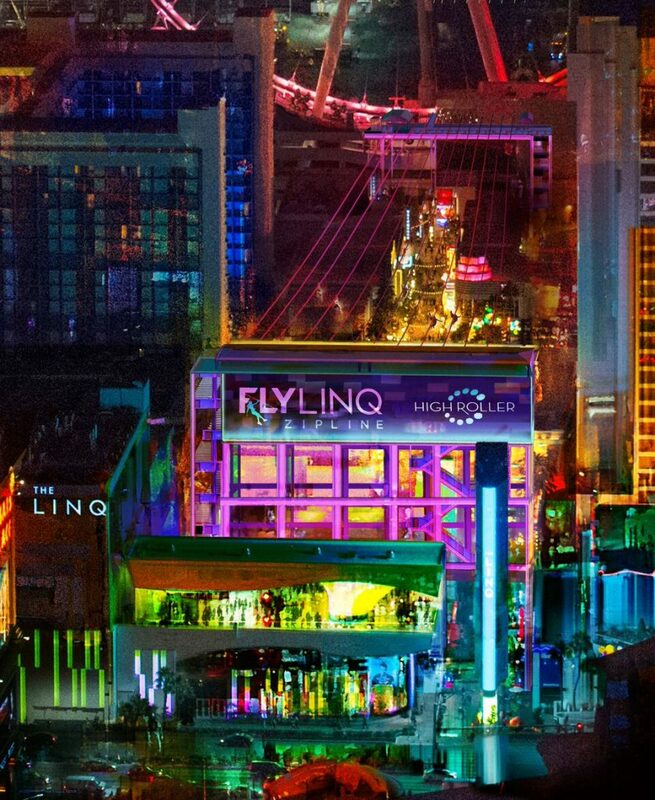 Fly LINQ will cost approximately $20 million and be constructed above the LINQ Promenade. Construction is expected in spring of 2018 with an anticipated completion date late next year. The same design team that came up with the High Roller, the world’s tallest observation wheel worked on this attraction’s design. It is expected to feature 10 side-by-side lines that will begin at the LINQ Hotel’s 122-foot tall launch tower. Riders will have the option of being seated or in a prone position. The length will be 1,080 feet and travel at about 35 mph above the shopping and entertainment center. Shaun Swanger, the Linq’s vice president and general manager hinted at another possible attraction that could accompany the Fly LINQ. When completed it would be the third zip line in Las Vegas, second one that is owned by Caesars. They already have the VooDoo Zipline at the Rio. Slotzilla is another such attraction that is located on Freemont Street. Both of those opened in 2014. 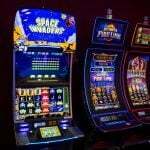 While Caesars underwent restructuring during the filing of Chapter 11 filing in January 2015, capital improvements came to a halt. Contentious court battles and internal squabbling basically froze the nine Las Vegas properties from any type of renovation or expansion. 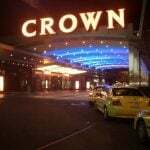 When the merger between subsidiaries Caesars Acquisition Co. and Caesars Entertainment Operating Co. Inc. was complete in October it was the last piece to emerging from bankruptcy protection and Frissora wasted no time implementing plans for several facets of the resorts. 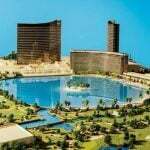 The Flamingo, Harrah’s and the Cromwell are part of a $60 million room remodeling and Frissora also wants to expand on vacant land at Caesars, Bally’s and Paris Las Vegas. 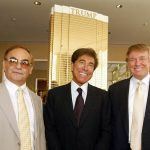 On Oct. 24 he met with institutional investors in New York City and boasted about future endeavors. “This marks the next chapter in growth for Caesars and it would not be possible without the help of everyone in the company,” he said during the press conference just before he rang the opening bell at Nasdaq. One of the most ambitious plans is the proposed convention and meeting center that will be built behind the Flamingo and Harrah’s. Company executives later expanded on Frissora’s statement saying the facility will cost about $300 to $350 million and take two years to complete. A construction date was not divulged.